Yiwu Hanti E-Commerce Co., Ltd. Please send us your logo and we will quote you the best price . If you need make sample , you should pay for the sample . 5.Could you customize labels 9 Yes , make it as your request . 67052 67053 3-D Velvet Decorative Mannequin Bust Jewelry Stand/Necklace Display Holder 8"/11"
Alibaba.com offers 9,367 necklace holder products. About 30% of these are jewelry packaging & display, 1% are storage holders & racks. A wide variety of necklace holder options are available to you, such as free samples, paid samples. 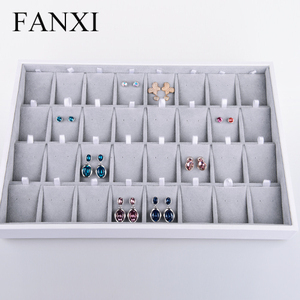 There are 9,337 necklace holder suppliers, mainly located in Asia. 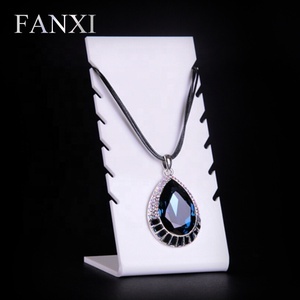 The top supplying countries are China (Mainland), Canada, and India, which supply 96%, 1%, and 1% of necklace holder respectively. Necklace holder products are most popular in North America, Western Europe, and Domestic Market. You can ensure product safety by selecting from certified suppliers, including 713 with Other, 691 with ISO9001, and 195 with BSCI certification.